9 seasons down, and we still can’t get enough of the show. The lives of these socially awkward scientists and their free-spirited neighbour have taken the world by storm since it first aired on TV more than a decade ago. Nothing less than a veritable pop-culture phenomenon, it continues to deliver on the laughs year after year. 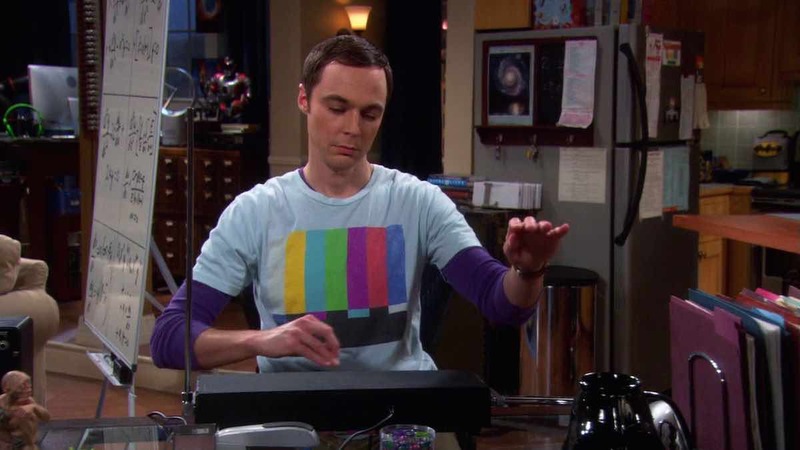 Here are 20 facts about The Big Bang Theory that most people don’t know. Compiled with love. 1. If you are above 18 years, you can be a part of the show’s live studio audience for absolutely nothing. 2. Raj is modeled after a real person. Writer Bill Prady knew an old co-worker who also had the inability to speak to women when not drunk. 3. The shirts that Sheldon wears (like the Green Lantern one) reflect his emotions in that scene. In the comic universe, the colours correspond to a particular emotion: Red for rage, blue for hope, indigo for compassion and so on. 4. The cast are highly-skilled musicians in real life. Johnny Galecki, who plays Dr. Leonard Hofstadter has been a cellist since a young age while Jim Parsons (Dr. Sheldon Cooper) and Mayim Bialik (Dr. Amy Farrah Fowler) learned how to play the theremin and the harp, especially for the show. Genius, much? 5. Brazilian biologists named an entire bee species after Sheldon’s catchphrase, “Bazinga!” in 2012. 6. “Soft Kitty” is a real song – originally titled “Warm Kitty” and sung by Edith Newlin in 1930. Bill Prady’s daughter had learned the song from a teacher in pre-school. 7. Howard’s massive collection of toys and figurines are all female. Previous article Japan’s deadliest animal is the Japanese giant hornet, responsible for more yearly casualties than bears and snakes combined!